South West Coast Path Trail Running Race - 10K, Half and Full Marathon. 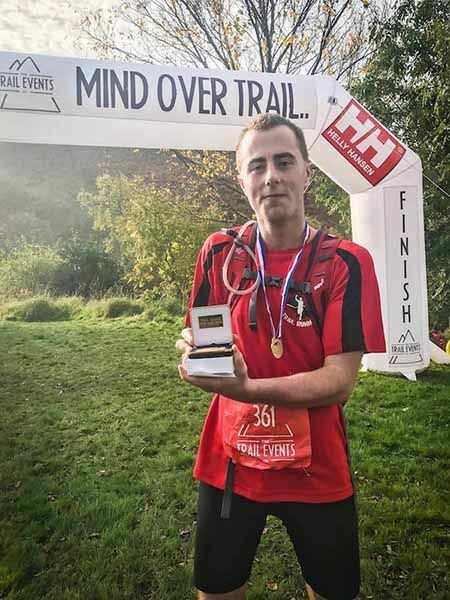 The South West Coast Path Challenge (formerly known as the Head to Head Trail Running Challenge) returns for year three, this time adding a marathon as well as the half marathon and 12K. Set at East Soar Outdoor Experience near Salcombe in Devon, the trails and coastal paths are stunning! Canicross friendly. The new 12K takes you out of East Soar and over the rolling fields towards Bolberry, with views as far as the eye you head up to Bolberry Down and follow the incredible coastal path back towards Bolt Head at Salcombe. After leaving the coast path you will head back to up East Soar Farm to fisish, with views all around you as you make your way up the final hill. If you take on the the 22K, you will be heading through Bolberry on to South Hursh and around the gorgeous village of Hope Cove before joining the the coast path and enjoying the path all the way to Overbecks House, where you will go around the National Trust property before heading back up to the finish. The 45k distance is two laps of the 22k route. A wonderful trail run working with the National Trust South West. The new 12K takes you out of East Soar and over the rolling fields towards Bolberry, with views as far as the eye you head up to Bolberry Down and follow the incredible coastal path back towards Bolt Head at Salcombe. After leaving the coast path you will head back to up East Soar Farm to finish, with views all around you as you make your way up the final hill. You will be heading through Bolberry on to South Hursh and around the gorgeous village of Hope Cove before joining the the coast path and enjoying the path all the way to Overbecks House, where you will go around the National Trust property before heading back up to the finish. You will be heading through Bolberry on to South Hursh and around the gorgeous village of Hope Cove before joining the the coast path and enjoying the path all the way to Overbecks House, where you will go around the National Trust property before heading back up to the start area. From here you will do the same loop, taking in the stunning views on your way round before coming to the finish line. £5 fee to be paid on the day to East Soar Outdoor Experience. Bell Tents are on offer from East Soar Farm. Limited number – First come, first served basis. Plus they have a couple of cottages on site for rent.